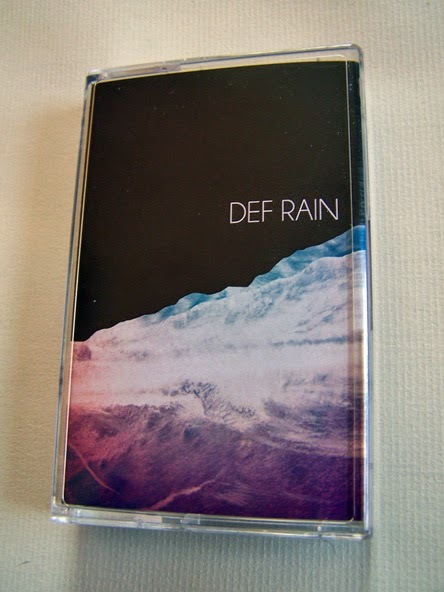 When the beat loops begin on this cassette, I am not sure what we are in store for exactly but my mind quickly wanders to the electro rap side of the grid and I must say that even though the first song might serve as a mere introduction, it is still quite good. 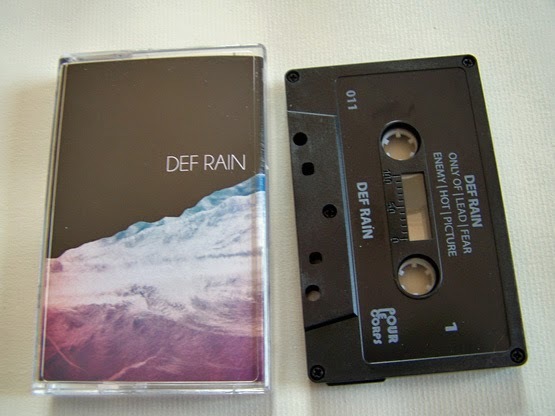 The remaining songs on the self-titled cassette from Def Rain are some of the most lovely female vocals you will ever hear, pouring out over somewhere between synth pop and dreamgaze. 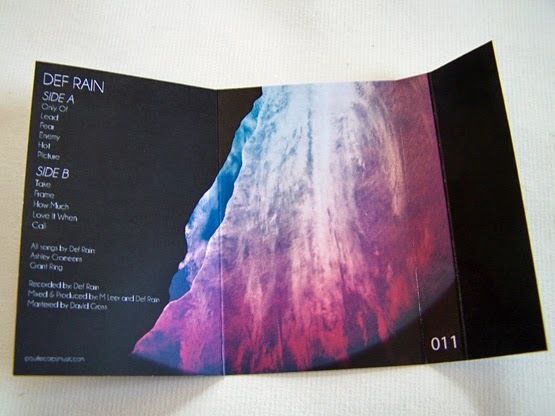 This music is just oh so good, and on some levels it does bring out certain lo-fi qualities which also make it the perfect candidate for cassette. 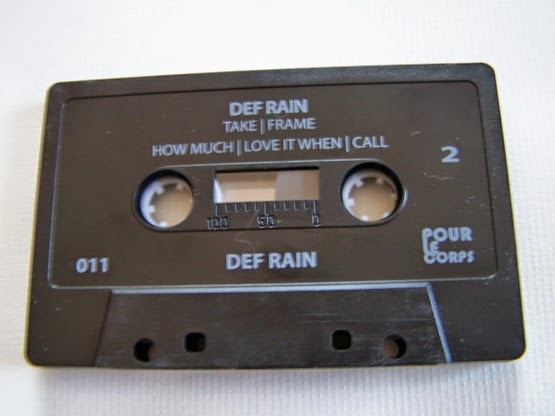 If I had to pick a point on the radar for Def Rain to fall, I’d have them somewhere between Blondie (though only a slight hint of Blondie near the end) and PJ Harvey, but obviously this brings out less memories of other bands and crafts more of its own imprint. 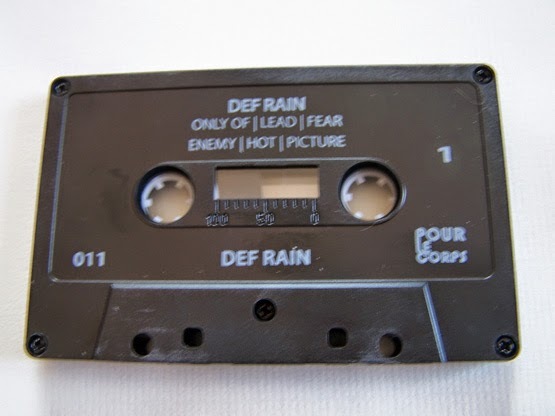 I remember hearing PJ Harvey for the first time on cassette as a youth, it was on “The Basketball Diaries” soundtrack, which I still have the tape mind you, and this cassette right here is just as innovative and exciting. 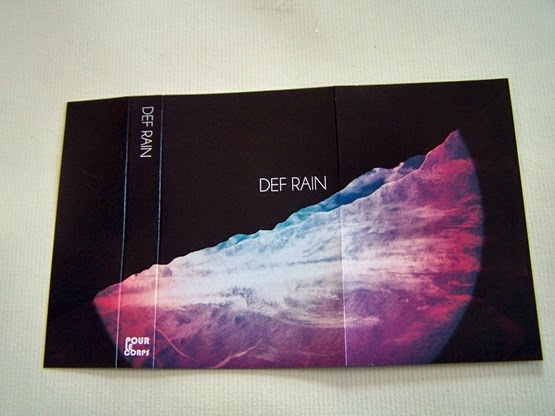 Only rather than being “the next PJ Harvey”, Def Rain is certain to forge a legacy all their own. .